A state-run Chinese daily has said that India cannot afford a showdown with China on border issues. An opinion piece published in the Global Times warned India saying that "usually China avoids making an issue of border disputes." It said that Beijing has "indulged India's unruly provocations, but this time the Indian side needs to be taught the rules." The daily said that India lags far behind China in terms of national strength and the so-called strategic support for it from the U.S. is superficial. However, the state media asserted that China has no desire to confront India. Emphasizing that maintaining friendly ties with New Delhi is Beijing's basic policy, the state media stressed that these ties must be based on mutual respect. The Global Times said that it's not time for India to display arrogance toward China and pointed that India's GDP is only one-quarter of China's. It also highlighted that India's annual defense budget is just one-third of China's. The daily advised India that having a friendly relationship and cautiously handling border issues with China is its best choice. Chinese and Indian soldiers are locked in a face-off at the Sikkim section of the China-India border. The state media said that allegations of intrusions along the western section of the China-India border often emerge but face-offs in the Sikkim section are rare. It added that the Nathu La Pass in Sikkim was reopened in 2006 as there is no border dispute between China and India over this area. 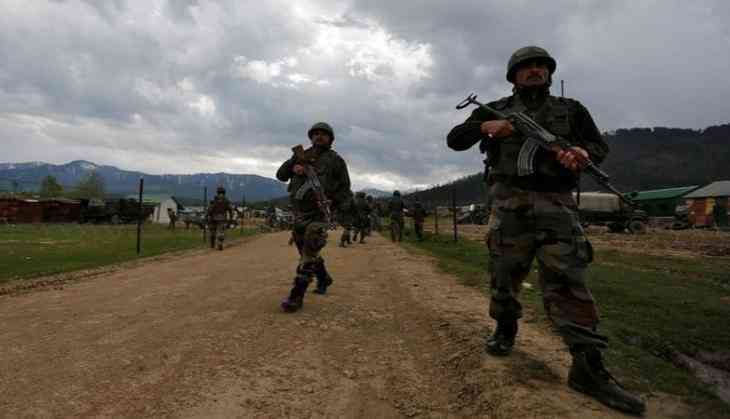 "It remains unclear whether this flare-up is the fault of low-level Indian troops or a tentative strategic move made by the Indian government. Whatever the motive, China must stick to its bottom line. It must force the Indian troops to retreat to the Indian side by all means necessary, and China's road construction mustn't be stopped," the Global Times said. The daily further said that India's national confidence has been greatly boosted with its GDP rising to fifth in the world and the U.S. and West are willing to woo India to counterbalance China has particularly added to Indians' sense of strategic superiority. "Some Indians believe the US and Japan are building a circle to contain China, and India has an advantage over China by choosing whether to join this circle. Therefore, they can indulge themselves on issues, including border disputes, while China has no choice but to make concessions.," it said. As the China-India borderline hasn't been demarcated completely and the two countries have a different understanding about the Line of Actual Control, troops from both sides often stray across in some areas. China on Tuesday asked Indian border troops, who were alleged to have crossed the Indo-China border along Sikkim region, to withdraw and safeguard peace and tranquillity in the area. "The Chinese side requires the Indian side to respect the boundary convention and China's territorial sovereignty, immediately withdraw their border troops that have crossed the boundary, conduct thorough investigation into this and safeguard peace and tranquility of the Sikkim section," Chinese Foreign Ministry Spokesperson Geng Shuang said. China also clarified that the entry to the first batch of around 50 Indian pilgrims who were scheduled to travel to Kailash Mansarovar through the Nathu La pass in Sikkim were stopped due to security concerns. "The Chinese side has to put off arranging for Indian officially-organized pilgrims' entry through Nathu-la mountain pass in the Sikkim section of the China-India boundary out of security concerns. The Indian side has been informed through the diplomatic channel," Geng said. He further said that the Sikkim section of the China-India boundary was defined by the Convention between Great Britain and China relating to Sikkim and Tibet in 1890. "The Indian government has repeatedly confirmed that in written forms since India's independence, recognizing that it concur with China on the boundary alignment at the Sikkim section," he said. Earlier, it was reported that the Indian border troops had overstepped the China-India boundary at the Sikkim section and there was an ensuing standoff with the Chinese border troops.